Italian cooking is very basic. Most of the time they don’t use a lot of ingredients but what they do use packs a lot of flavor. This no-cook pizza sauce recipe is very easy and you can whip it up in no time. 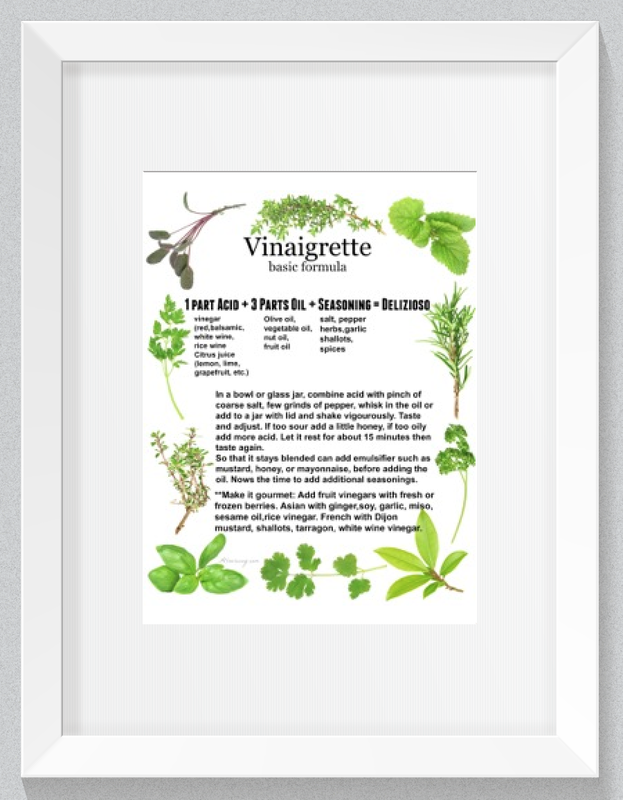 It uses very few ingredients most of which we normally have on hand. The fresh basil and garlic adds that extra punch to the no-cook sauce so I wouldn’t skip them. This delicious sauce, like most Italian sauces, tastes better if you let the flavors meld. . .
if you can wait . . .
the few hours before using. 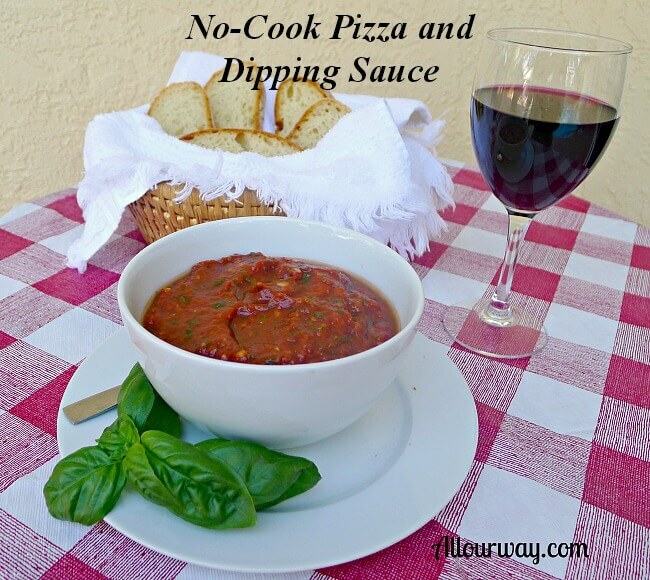 The no-cook pizza topping recipe is also very good as a dipping sauce served with focaccia, calzones, pasta, or anything else you might come up with. We noticed that the ordinary pizzas that the Italians serve in Italy are quite different than the elaborate ones they serve here in the States. If you plan on going there and asking for a loaded pizza . . . In Naples, there are two pizzas. . .
Pizza Marinara and Pizza Margherita. Pizza Marinara combines tomatoes, oregano, olive oil, and garlic . . . that’s it! No cheese! Pizza Margherita uses tomatoes, olive oil, fresh mozzarella di bufala ( which is water buffalo milk mozzarella), and fresh basil leaves put on the pizza before baking so that the leaves darken slightly from the heat of the oven. 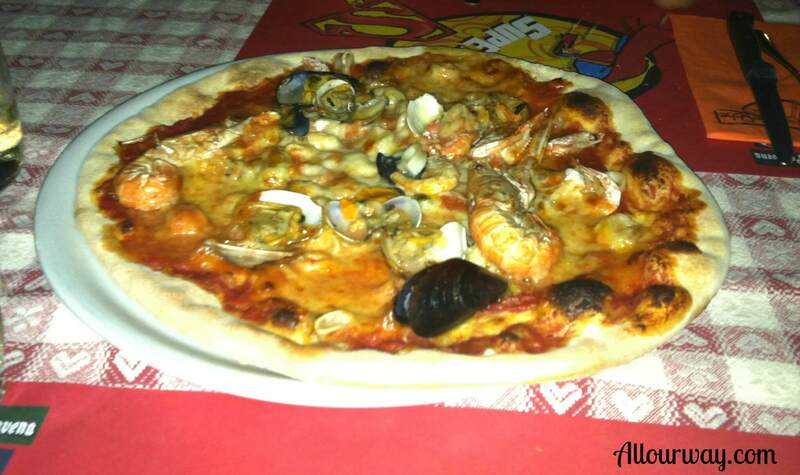 We had seafood pizza (clams, shrimp, mussels) in Venice and it had a very simple base of tomato and basil. It was delicious in its simplicity. All Our Way sauce duplicates this simple flavor. 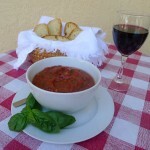 The All Our Way no-cook pizza sauce recipe can be made in two versions and I’ve included the change. It is quite simple – instead of the regular tomatoes, you use Ro-Tel. My Honey likes his flavors HOT! 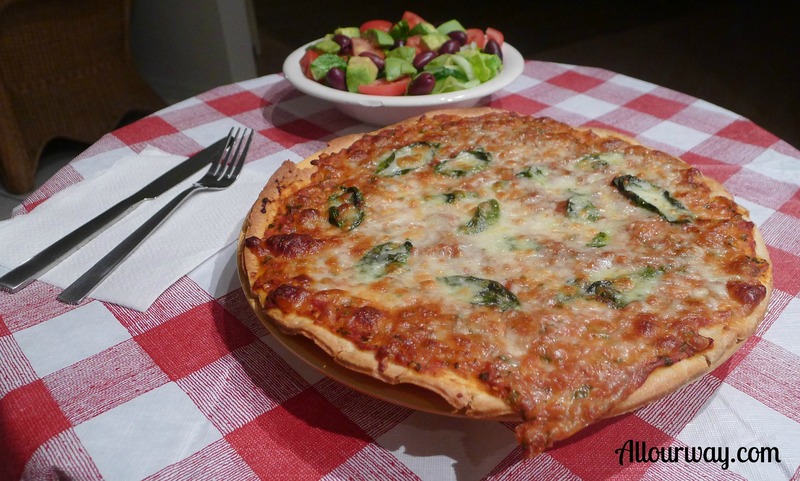 All Our Way Margherita Pizza made with All Our Way easy no-cook sauce. A delicious and spicy pizza sauce that is quick to make and you don't have to cook it. Full of flavor and you can make it spicy as you like. Combine all ingredients in a medium bowl; stir with a whisk or for a thinner texture mix with a blender. It is best if you let the flavors meld before using although you can use it right away. Although this is quick and easy it is an excellent sauce. Not only can you use it on your pizza it is also delicious as a dipping sauce for grissini ( bread sticks), calzones, or anything else you can think of. If you are fond of hot stuff - as is my hubby- you'll especially like the Ro-Tel version. Yes, Paul! You can freeze the sauce. We have many times. You might want to leave it in the fridge for about a week so the seasonings have a chance to really flavor the sauce. It’s one of our favorite recipes, especially when we’re in a hurry. Oh I love the idea of a little uncooked garlic in there! I bet that is delicious! It is super good! I hope you give it a try, Katie. Wow!! A no-cook pizza sauce that looks as delicious and thick as this one? That is a life changer!! I can’t wait to make it to see if it’s as yummy as it looks! Ah yes…authentic Italian pizza can come as quite a shock to aficionados of American pizzas. I personally witnessed that shock upon taking a friend of mine, who is a pizza fiend, to a Neopolitan pizza joint. She was polite, but her face said, “what is THIS? !” I love this no-cook version pizza sauce: I’d make it first thing in the morning so that it can hang out all day in the fridge and get even more delicious! Hi, Michelle! Hubby and I love a simple pizza — you can taste the sauce and the delicious cheese. Love how easy this is! I already have all the ingredients in my pantry. 🙂 Thanks for this simple recipe! My pleasure, Sarah! We love simple. The Margherita pizza was made here and we had it last night for dinner 🙂 The other pizza we did have in Venice, Italy. What a night and what a view! !